Railings are included with your purchase! EXTRA STRENGTH. Aluminum spindles offer long-lasting durability. All railing and corner posts extend to ground level to provide additional support. Rail caps and brackets have been installed. SAFETY FIRST. Quality optional LED lights have been installed for safety during dark hours. All steps and railings meet Residential Building Code. A STAIN THAT LASTS. The DuraColor stain is added directly to the pressure treatment process, so they won't need re-staining for years to come. Resistant against fungal decay and termites, with great aesthetic appeal. MADE IN MICHIGAN. 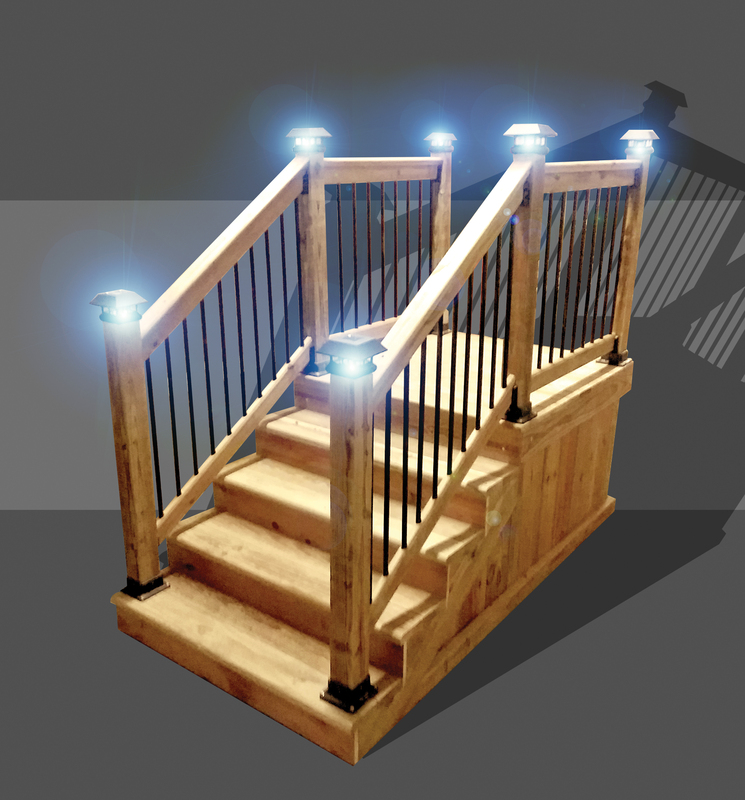 The Legacy Steps are made in Romulus, Michigan at Capitol Wood Products, a division of Capitol Supply & Service. Manufactured by employees who know the manufactured housing industry. All steps meet Residential Building Code. The customer understands and acknowledges that the step system being sold will require routine inspection and maintenance as the step system may become unlevel especially during winter and inclement weather conditions and the customer understands the need for such step inspection and assumes the responsibility for maintaining the stair system in a safe condition and in accordance with local ordinances and community rules and regulations.